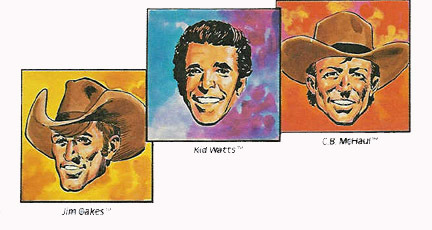 CB McHaul was introduced by Mego in 1977, the name was patterned after country musician C.W McCall, whose number one hit "Convoy" had become an anthem for the CB Craze. A National Craze didn't help when it came to orders at retail CB never really took off and is hard to come by. 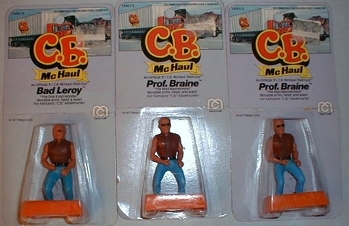 For the figures, mego reused the three-inch body style of the comic action heroes. 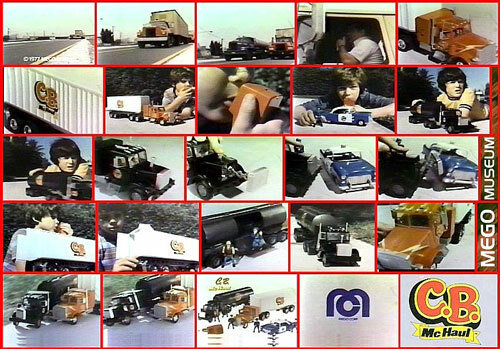 While eight-inch figures were still flourishing, mego knew three-inch was the best size for a line that was selling 18-wheelers. The packaging also harked back to the CAH line, blue cards with the figure standing on a base in the middle. Now Take a Tour of CB McHauls World by clicking on an area below. The original CB McHaul commercials probably didn't see airtime but here it is for posterity.